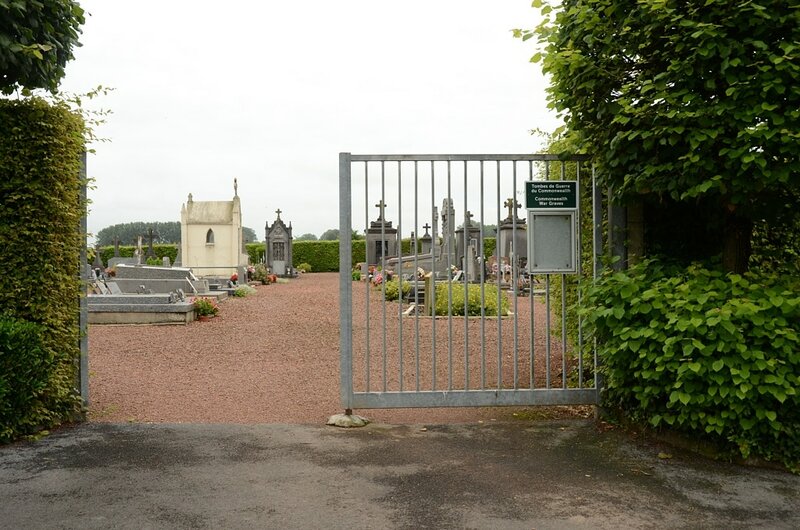 Artres Communal Cemetery lies with 6 other burial grounds in the Department of the Nord and all are within a few kilometres east and south of Valenciennes. 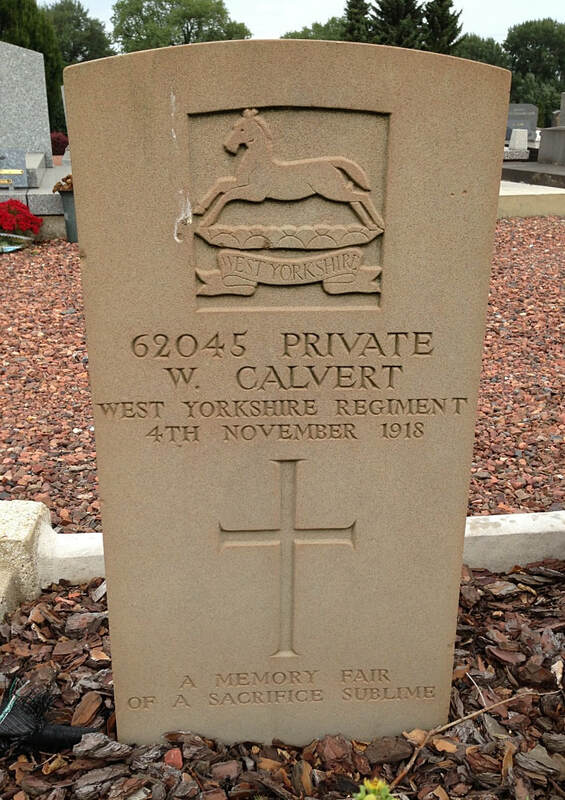 62045 Private Willie Calvert, 9th (Yorkshire Hussars) Bn. 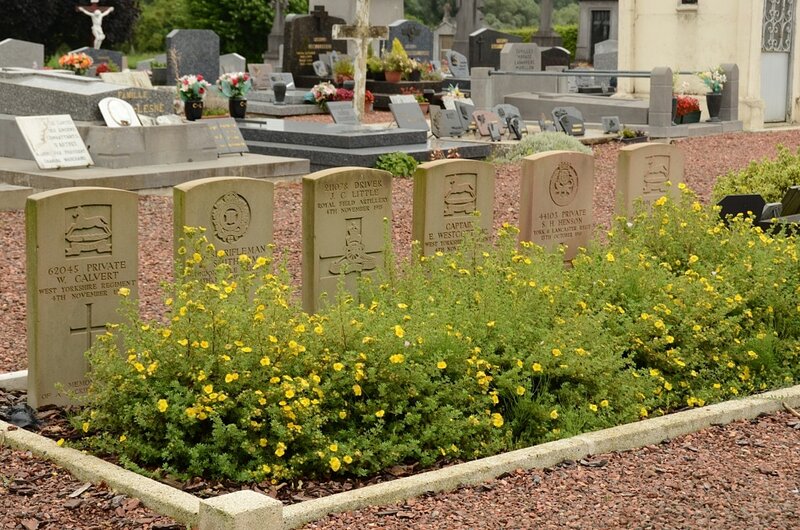 West Yorkshire Regiment (Prince of Wales's Own), died 4th November 1918, aged 19. Son of John William and Sarah Calvert, of 15, Bank Buildings, Luddendenfoot, Yorks. 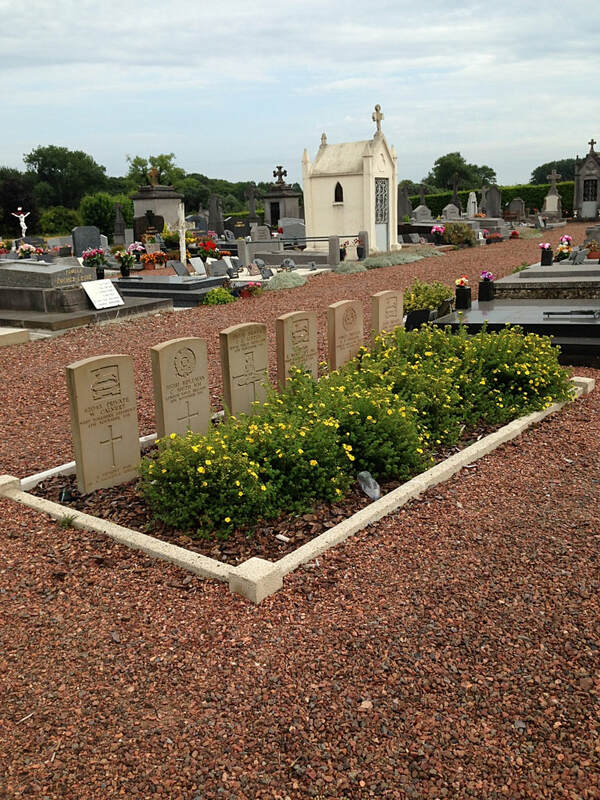 44103 Private Samuel Harrot Henson, 5th Bn. 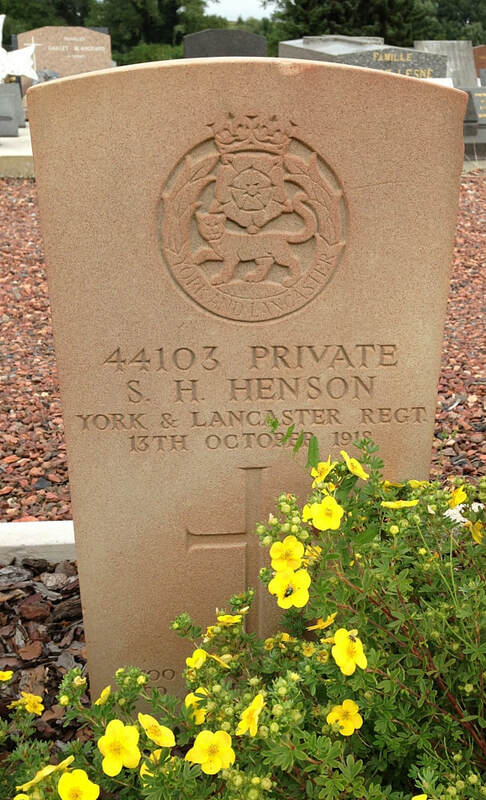 York and Lancaster Regiment, died 13th October 1918, aged 23. 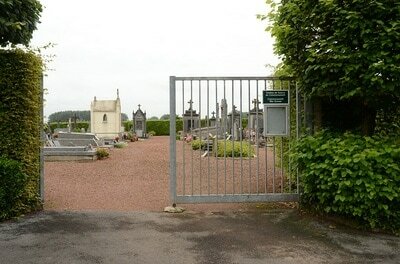 Son of Samuel Harrot Henson and Ruth Henson, of 7, Market St., Mexborough, Rotherham. 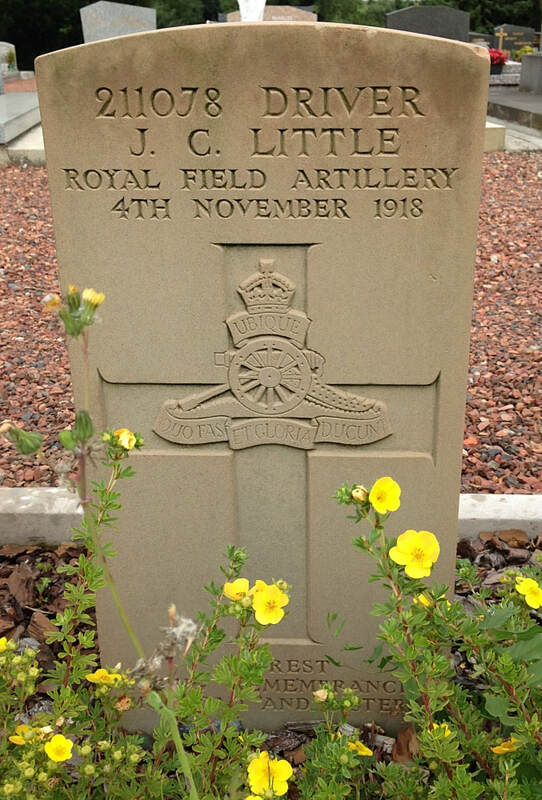 211078 Driver James Charles Little, "B" Battery, 307th Brigade, Royal Field Artillery, died 4th November 1918, aged 27. Son of Charles and Lucy Little; husband of S. A. Little, of 1, Whitecliff Rd., Purley, Surrey. Native of Croydon. 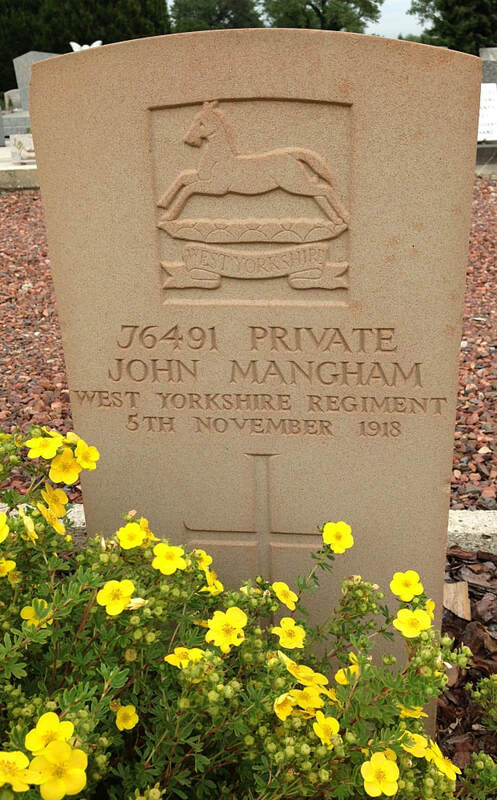 76491 Private John Mangham, 9th (Yorkshire Hussars) Bn. West Yorkshire Regiment, (Prince of Wales's Own), died 5th November 1918, aged 27. Son of Samuel and Jane Mangham, of High Moor, Killamarsh, Sheffield; husband of Alice Mangham, of 8, King St., Thurnscoe East, Rotherham. 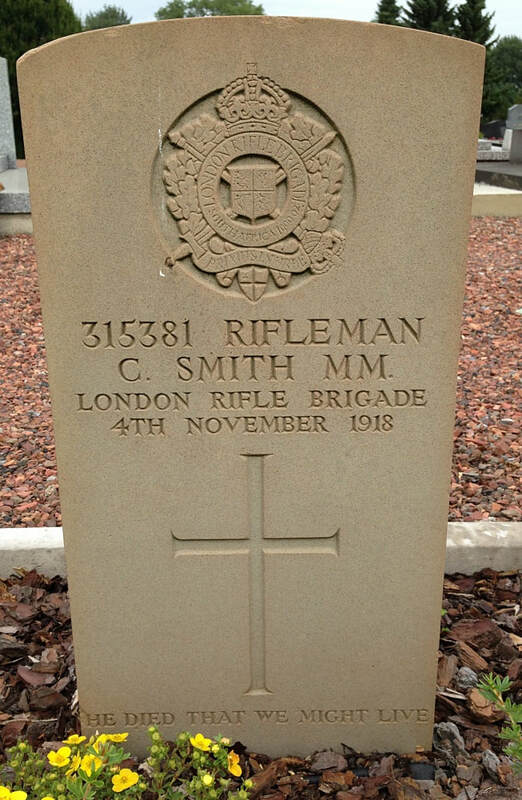 315381 Rifleman Christopher Smith, M. M. 1st/5th Bn. 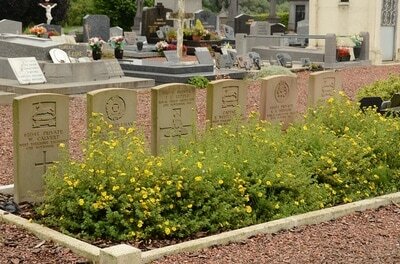 London Regiment (London Rifle Brigade), died 4th November 1918, aged 26. 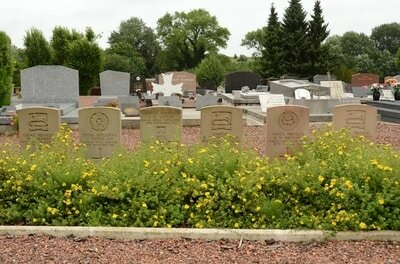 Son of Albert and Elizabeth Smith, of 29, First St., Blackhall Colliery, Castle Eden, Co. Durham. 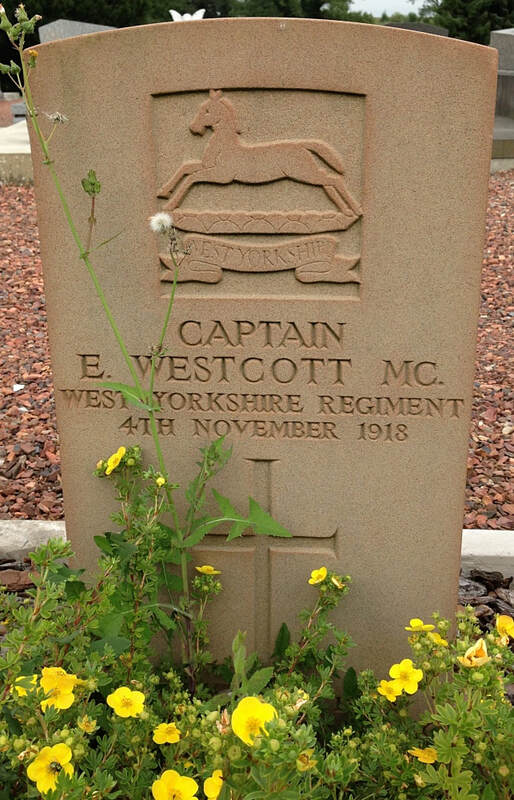 Captain Edgar Westcott, M. C. 9th (Yorkshire Hussars) Bn. West Yorkshire Regiment (Prince of Wales's Own), died 4th November 1918, aged 25. Husband of Edith Mabel Westcott, of 3, Cedars Rd., Beckenham, Kent.